The whole process of home remodeling projects can get really confusing and overwhelming that jumping straight into the process without an inkling on the right way to do it will only result in disaster. Do not commit the same big mistake that most homeowners would do, which is to skip the planning phase and rush into the remodeling project right away. To make most of your remodeling budget and time, always consider the use of a checklist, specifically a home remodeling checklist, that ensures that the end results of your project favorable and livable. You might love the house that you bought but it is still possible that some parts of it just don’t reflect your personal taste and style. You might love a clean space but it doesn’t mean that you cannot evolve to it to suit your current and ever-changing lifestyle. Such scenarios call for a home remodeling project. As you may already know, home remodeling can be overwhelming. This is why you would definitely find the use for a whole remodeling checklist that can guide you through the whole complicated process of home remodeling. There are a lot of traditionally designed homes that still stand today. Such kind of homes has a prevailing factor wherein it is difficult for those family members who have disabilities to manage walking up and down from staircases, walking long distances, and even doing simple daily activities such as bathing. 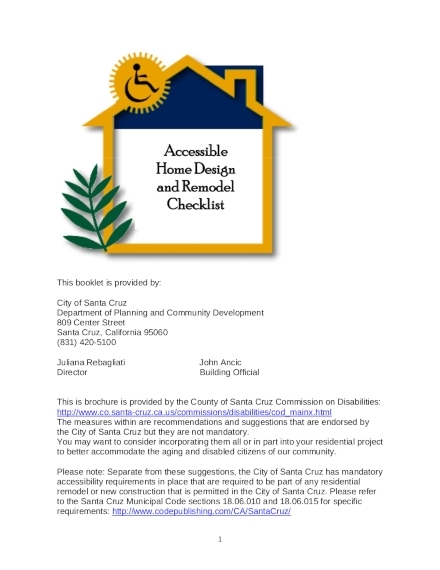 This is why, if you are currently living with a family member with disabilities, it is best if you would remodel your current home and take note of this home remodeling checklist. This assures you that your home’s new design has specifications that make it accessible to both individuals with or without disabilities. 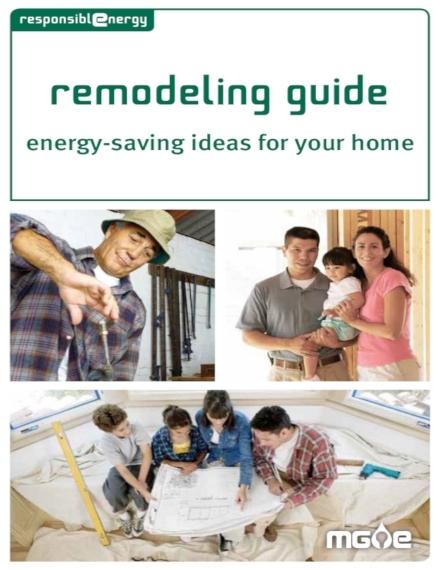 If your family recently switched to an environment-friendly lifestyle, you may want to consider remodeling your current home into one with the help of this energy-saving home remodeling guide and checklist. Switching to Mother Earth’s favor will not only help you reduce the negative impact on the environment but it will also help you to lower your monthly bills and improve the comfort levels of your home. 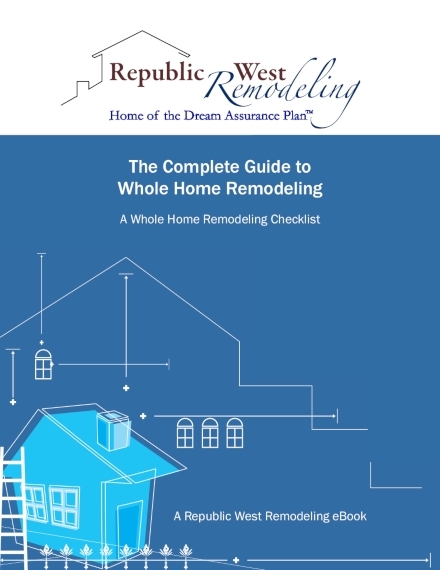 This home remodeling guide and checklist will ensure that the final result would not only be energy-efficient but also attractive, safe, and healthy to dwell in. Has your family grown that your current home’s number of rooms is no longer enough? Or have you always wanted to set up a home office but the current livable space does not allow? Then you have to consider remodeling some parts of your home that can be turned into something more purposeful such as the basement and attic. 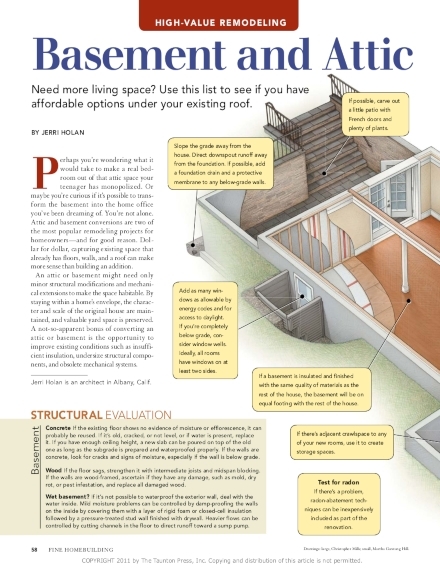 You may make use of this remodeling checklist to ensure that these part of your homes that commonly have a lack of or insufficient insulation, undersized structural components, and mechanical systems. There are various circumstances that will eventually force you to remodel your home bathroom. Maybe it has caused more problems that made you shell out more money than expected or maybe it’s just time for it to get remodeled because it is already outdated. 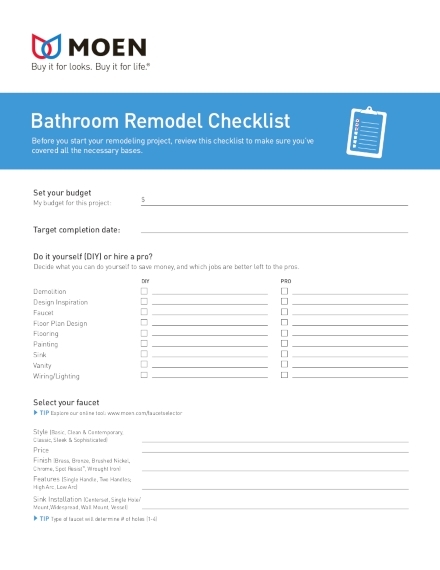 Whatever reason it might be, you will eventually be looking for a checklist, such as this home bathroom remodeling checklist, that will help you in making sure that your bathroom will get remodeled into something that can keep you from making small fixes that are annoying, inefficient, and costly. Remodeling your home kitchen involves a complex process that is why, if you are planning to remodel your current kitchen’s conditions, always secure yourself with a kitchen remodel checklist that will ensure in keeping you stay on track and move forward with your kitchen remodeling process. Through this checklist, you will be able to make sure that every step of the process is relevant to the goals you are aiming for. Planning to remodel your home while following a Green Building practice? Do check out this checklist that will ensure you that you are doing the right steps in making your home appropriate for this kind of approach. Green building is defined as the integrated approach to building and designing one’s home into a safe, comfortable, cost-effective, and Mother Earth-friendly living space. 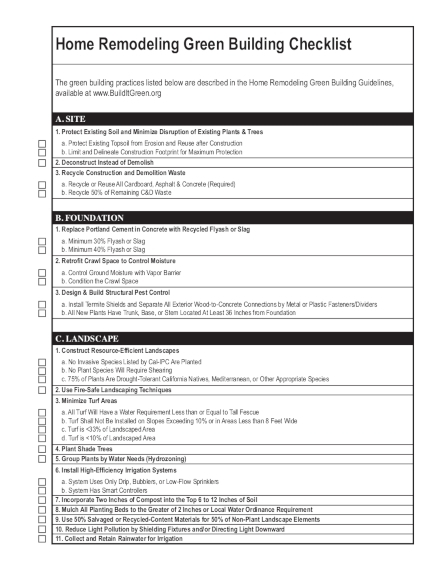 By following this practice with the help of a checklist, you will be able to make sure that your home is sustainable, water and energy efficient, and most importantly, Eco-friendly. Did the thought of remodeling your home came across your mind but you still don’t see the need for a major remodeling as of the moment? You don’t have to let go of that thought because you will eventually arrive at the point that you will need to remodel your home sometime in the future. 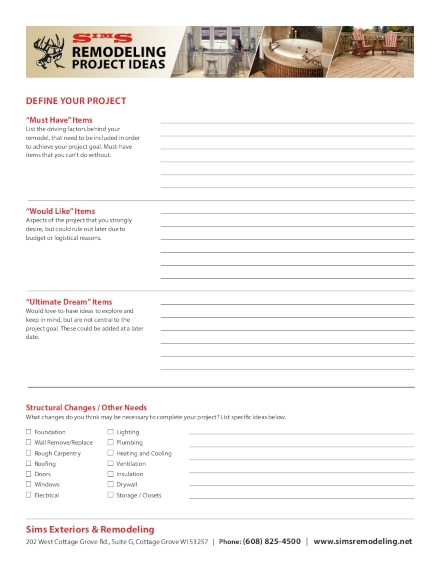 For the meantime, you can just jot down your home remodeling project plans and ideas using this checklist. 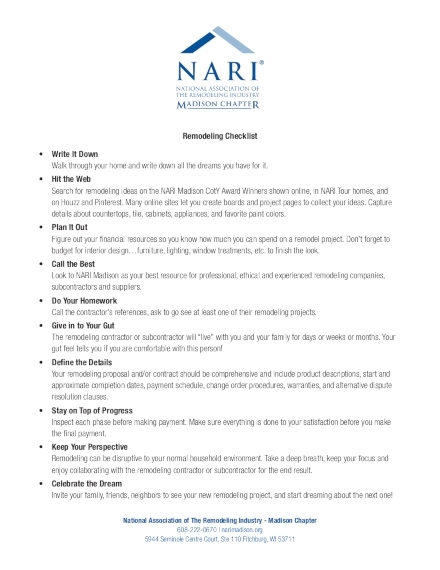 This remodeling checklist enables you to plan ahead and make yourself prepared when the time will finally come that you would then have to remodel your home. As mentioned, the whole process of home remodeling is a complicated and challenging process. With the absence of a guide such as this checklist, you will surely lose so much money but you will also lose your precious time and effort. 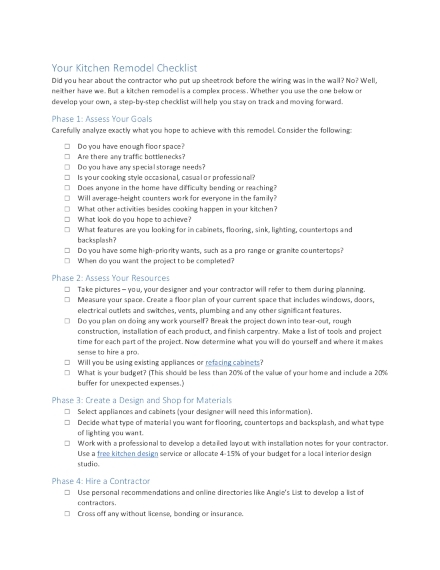 This checklist contains everything that you need in order to get started with your home remodeling project and constantly keeps you on the right track right until you finally achieve your desired end results. 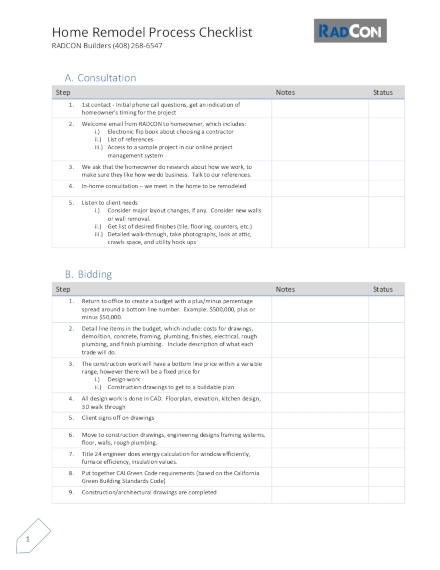 Since making yourself ready for a big change such as a home remodeling project is not simple, we’ll help you lessen the complexity of its process with this simple home remodeling checklist that we have provided. This simple checklist makes it possible for you to effectively carry out your home remodeling project even if this might be your first attempt. This checklist also contains steps, coupled with realistic instructions, that makes it equally realistic for you to accomplish.